Mark is Co-Chair of the firm's Litigation Practice Group, and his practice involves business litigation. He has more than 25 years of experience, and is listed in The Best Lawyers in America for Commercial Litigation. 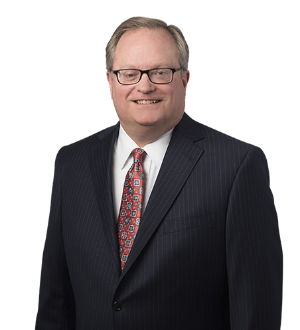 Mark maintains a diverse business litigation practice representing clients in trial courts, on appeals and in mediation and arbitration throughout Kentucky and the nation. He is experienced in resolving a wide array of business disputes, including commercial contract claims, environmental litigation, class actions and professional liability claims.